Have you ever fancied yourself as a course designer? Well here’s your chance! 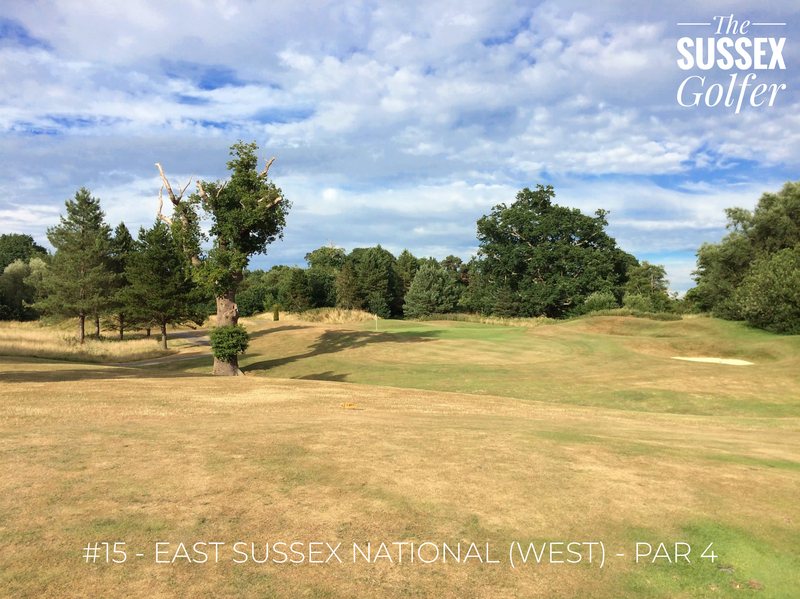 I’m looking to hear some of your favourite 18 holes in Sussex! Let me know across social media or in the comments below what your stand out holes are! The aim of this was to create a Sussex Golf ‘Dream 18’. 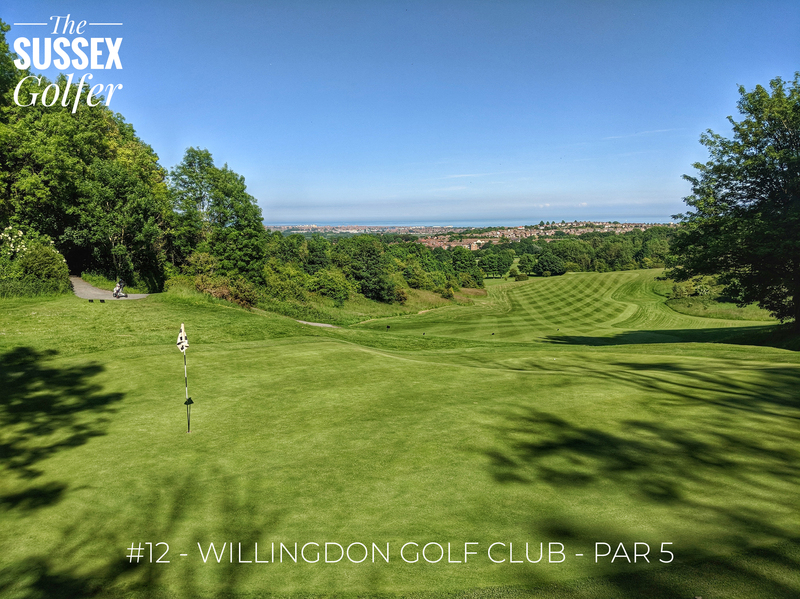 A fantasy course, combining the best holes in Sussex (within their respective hole number), all working together to a combined par of around 72! 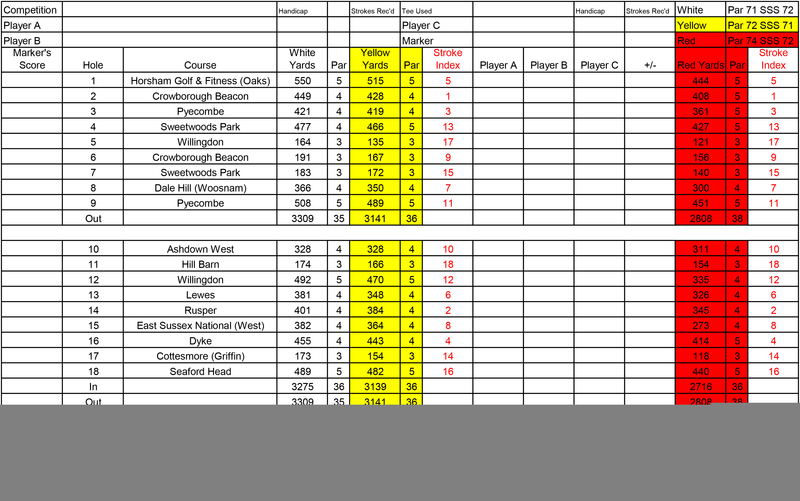 If you’ve played all 18 holes – you can download a scorecard here! I would love to see how you’ve got on! One of the most intimidating opening tee shots I have faced in the county, and therefore had to be first up in my Dream 18. 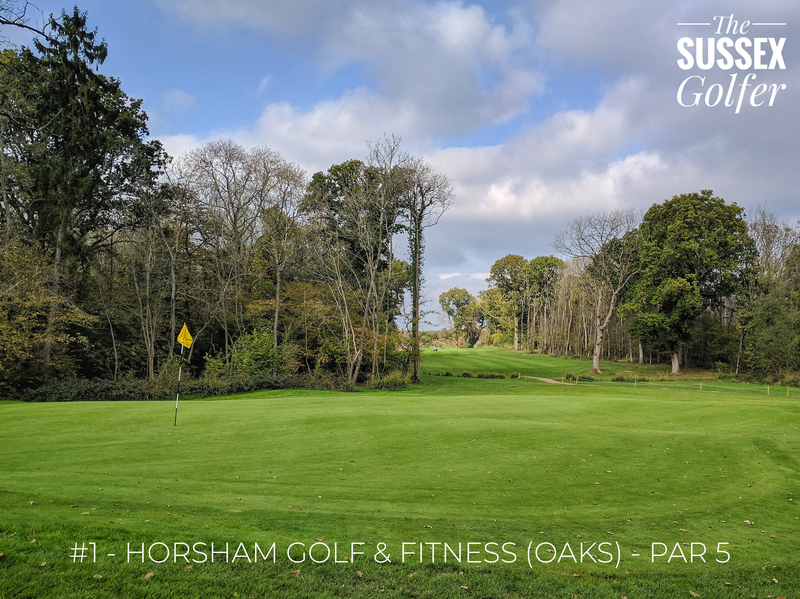 This par 5 winds its way through the wooded opening stretch at Horsham Golf & Fitness, and requires a long and straight drive to ensure you have a chance of making par. Another imposing tee shot, especially if you have a right to left ball flight! This downhill dogleg right par 4 sets up for a fade, to set up an easier second shot in to a large green set over a large hollow. 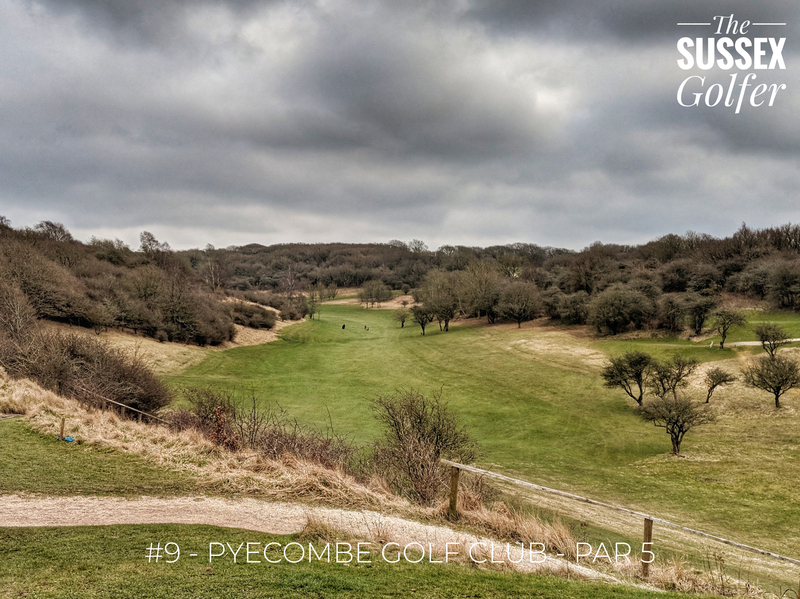 The signature hole at Pyecombe GC is a must for the ‘Dream 18’ in my book. The dramatic elevation changes not only off the tee, but also back up the other side towards the green often leaves golfers more than happy to settle for bogey! 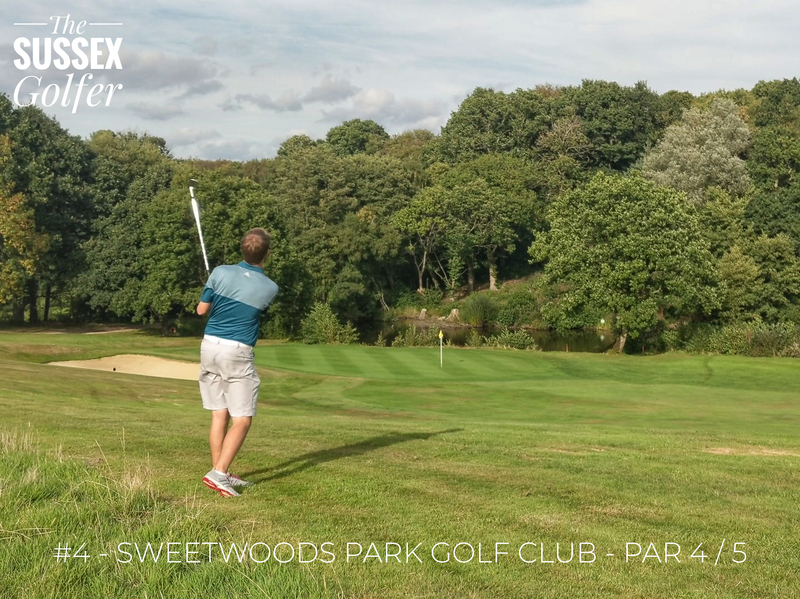 Another signature hole going straight into the ‘Dream 18’ the par 5 4th at Sweetwoods Park may be our first genuine birdie opportunity our course (from the Yellows). A solid drive down the left-hand side of the hole will catch the slope and open up the green to a long approach and a chance to hit the green under regulation. Care has to be taken though, particularly in the summer with a downhill slope short of the green which can kick the ball towards the water hazard which lines the right-hand side of the green. 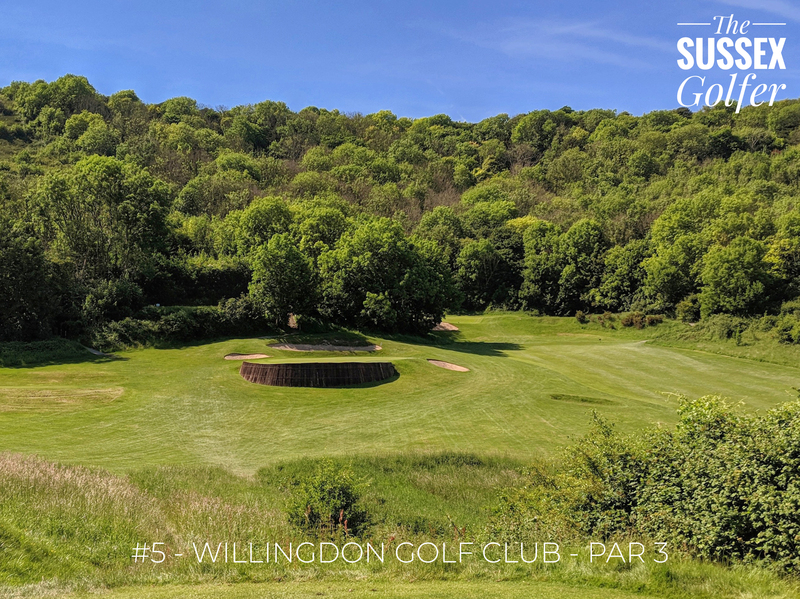 Willingdon GC has two fantastic par 3s back to back at the 4th and 5th, and I’ve plumped for the latter, a railway sleeper surrounded gem of a short hole. What might be a touch ‘gimmicky’ for some, I love the added challenge and risk that the sleepers add, ensuring that you must be accurate with the approach to avoid your ball being catapulted in the opposite direction. A hole where nearly any score is possible! Back to back par 3s on the ‘Dream 18’. 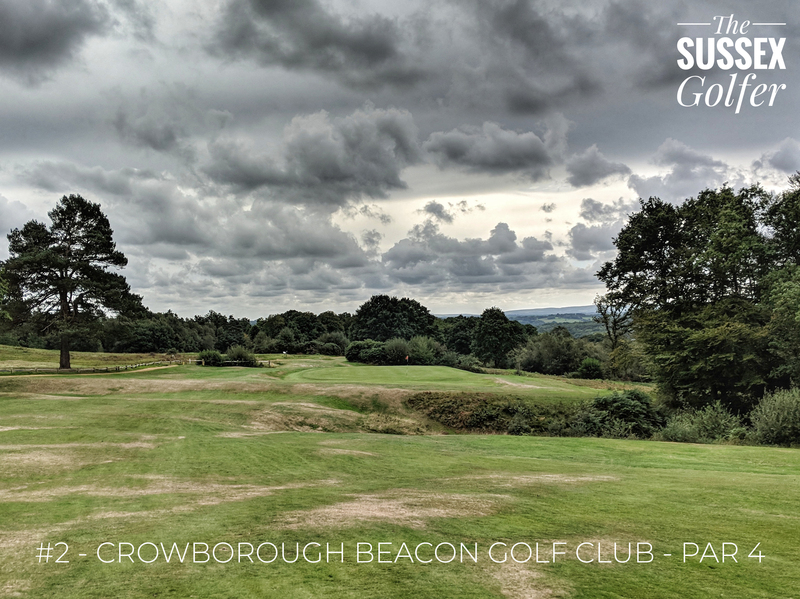 I couldn’t leave out the 6th at Crowborough Beacon GC, a fantastic short hole which requires a demanding carry over a former quarry. There is room on the right to bail out for those not confident in the carry. So our ‘Dream 18’ is going to have the slightly odd layout of 3 par 3s in a row, but the 7th at Sweetwoods Park is one hole sticks in my mind due to its uniqueness. Whilst only being a mid iron, the hole has the added challenge of carrying the river valley which traverses the course, and avoiding the sleeper lined bunkers guarding the front edge. 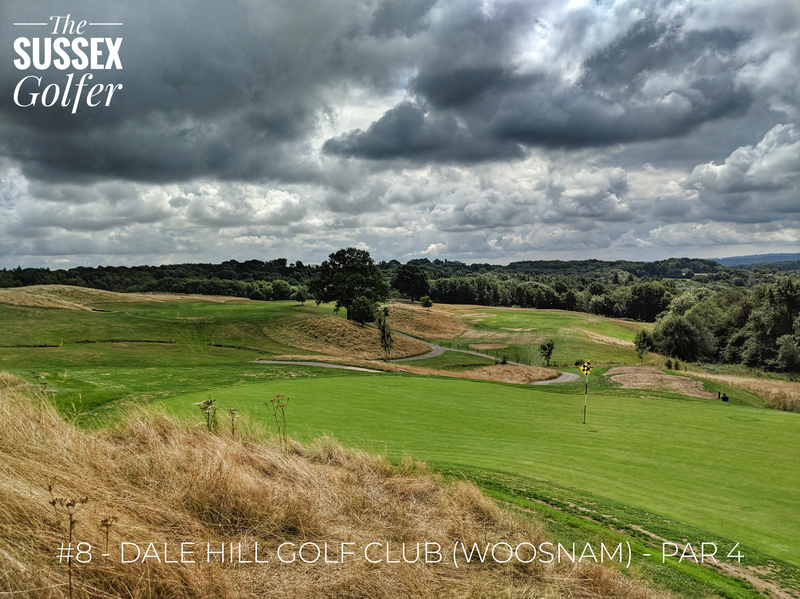 The stretch of holes between the 7th and 9th on the Woosnam Course at Dale Hill GC is a thoroughly enjoyable stretch of holes, all of which were considered for the ‘Dream 18’, but the hole which I have selected is the par 4 8th hole. 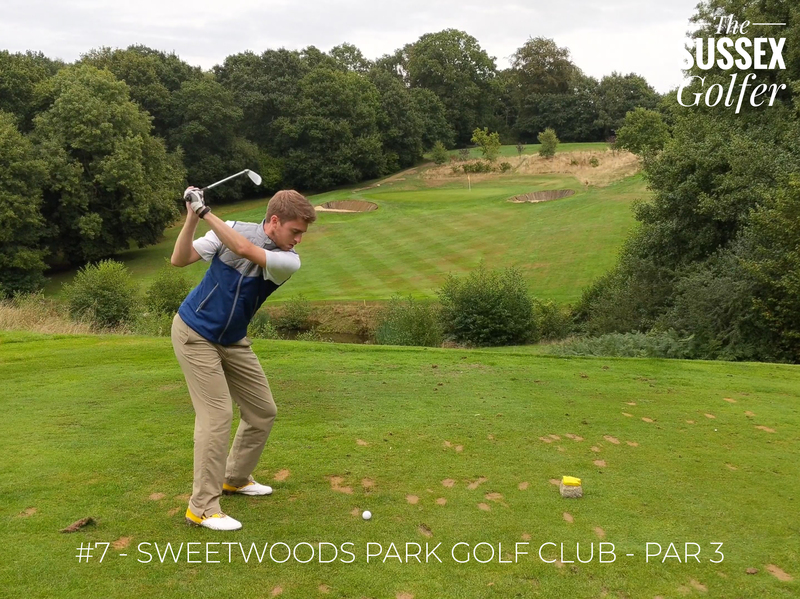 A slight draw is required off the tee to avoid long rough which cuts in on the right-hand side, but over cooking it will leave you blocked out by a tree down the left hand side. Pin position and club selection is vital on the approach to a green which runs diagonal to hole, with the left side being guarded by a deep bunker and significant drop off. 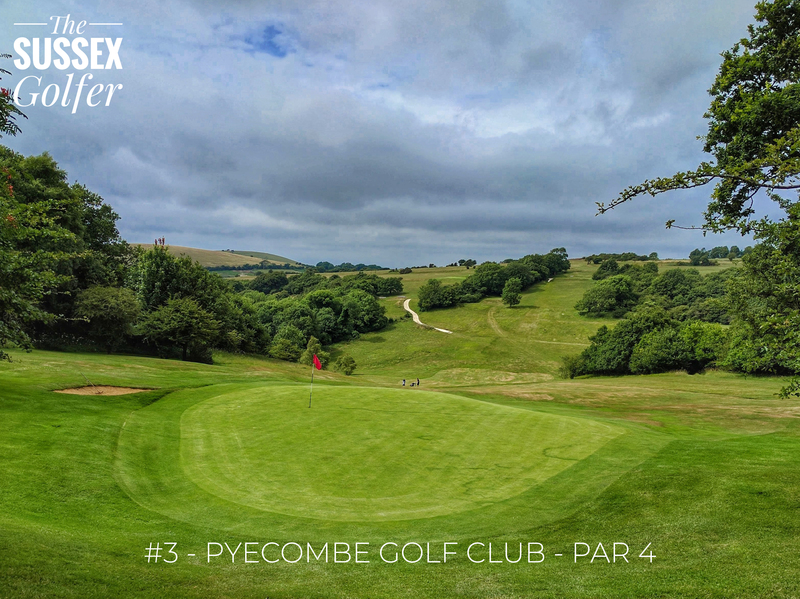 The 9th at Pyecombe GC is another genuine birdie opportunity on our ‘Dream 18’. A fairly short (and sometimes reachable) par 5, finding the fairway from the elevated tee box is critical, with the hole lined both left and right with trees and deep rough. From the fairway, a draw around the corner might find the edge of the green to set up a relatively simple up and down for birdie. Potentially overshadowed by the insanely tough par 3 11th at Ashdown West, the approach into the 10th is picturesque with the green surrounded on 3 sides by trees and ferns. Whilst the course may not have any bunkers, significant undulations and hollows short of the green are placed to add visual distraction to the approach. 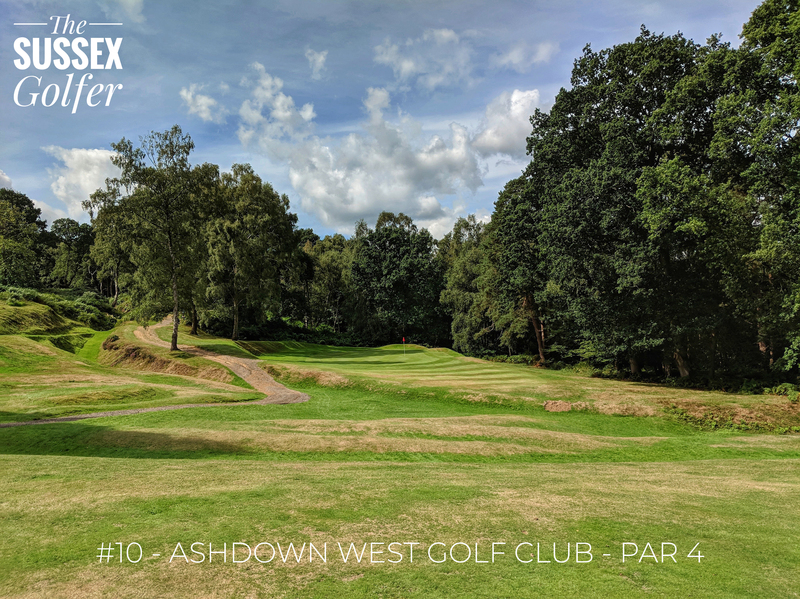 A toss up with the aforementioned par 3 11th at Ashdown West, the par 3 11th at Hill Barn stands out due to the fact that the green is almost entirely surrounded by bunkers (10 of them to be precise!). 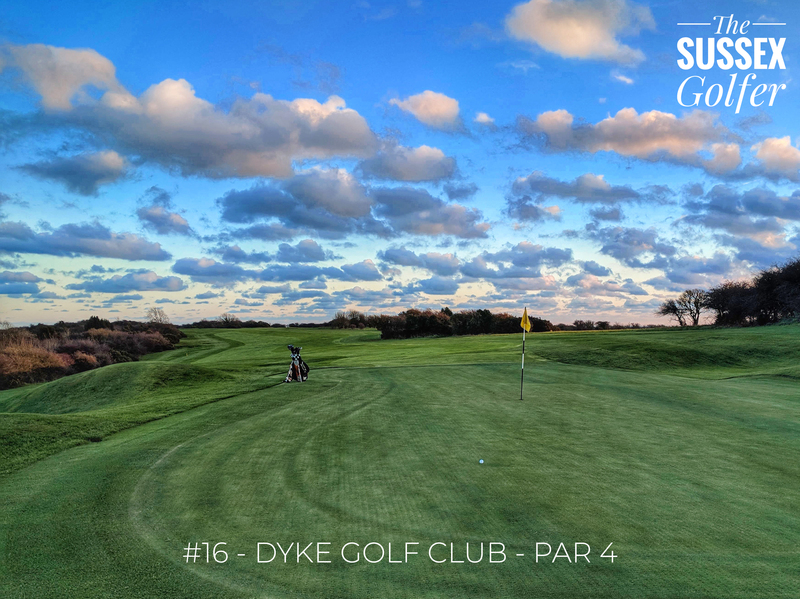 If you can avoid the swathes of bunkers between the tee and the green with your mid iron approach, you’ll be happy to make it out of there with a safe two putt par. Driving over the 11th and the brow of a hill, despite being from an elevated tee, the shot is blind to the landing area. Get a decent drive away down the left hand side and you have an outside chance of getting on in two, but most will settle for 3. 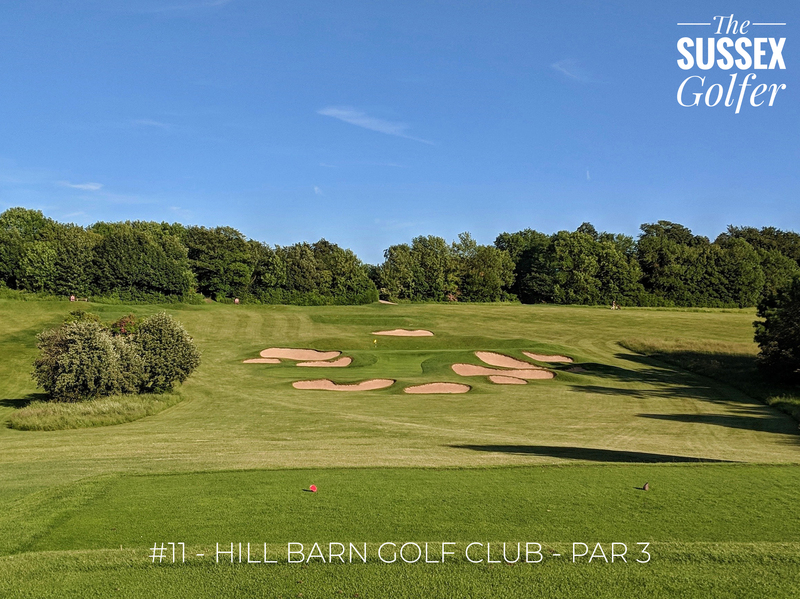 Once on the green, the hole doesn’t get any easier, with undulations similar to those found at Augusta National (which course architect Dr Alistair MacKenzie was also responsible for!). A fantastic par 5! 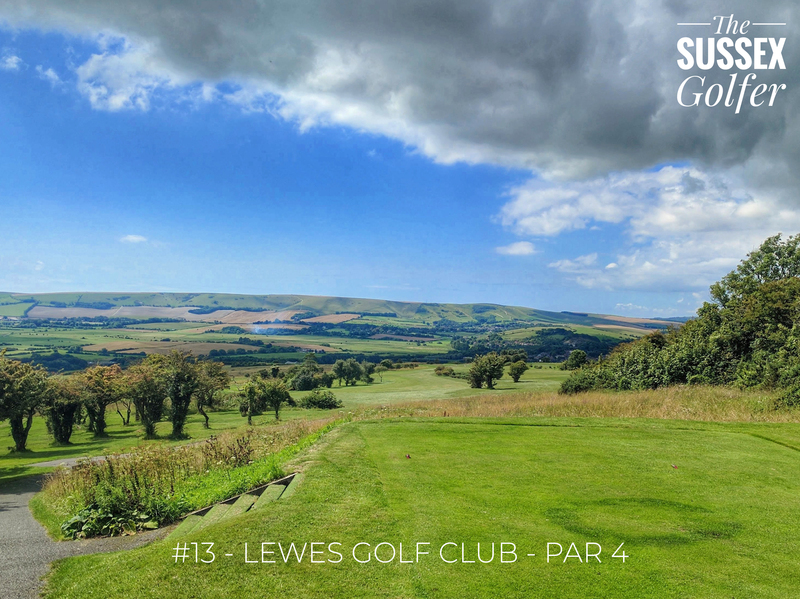 With the same picturesque views found on the 12th tee at Lewes, this tricky par 4 with its narrow landing area off the tee, is not only beautiful, but also deadly (to the scorecard!). Keep your tee shot to the right hand side of the fairway in order to leave a line into a tough green which slopes away from you. 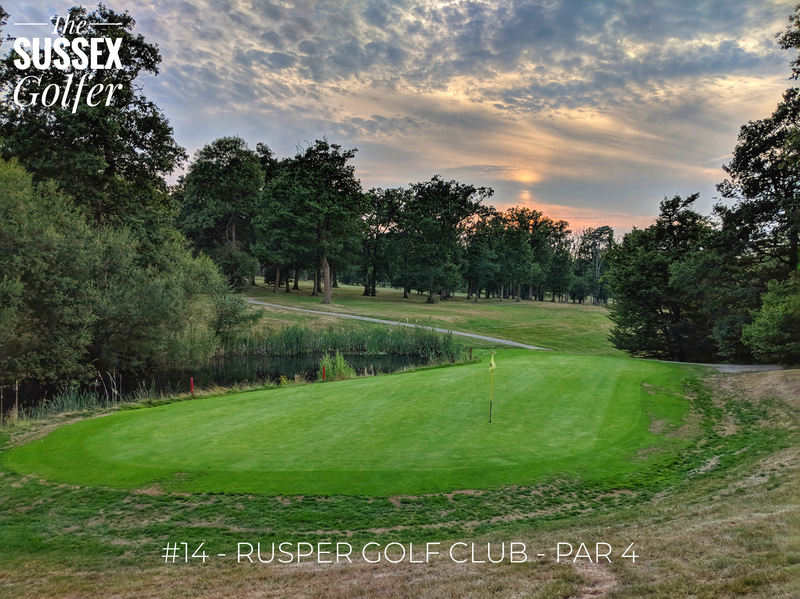 The 14th at Rusper GC would not look out of place on many courses of far higher ilk. 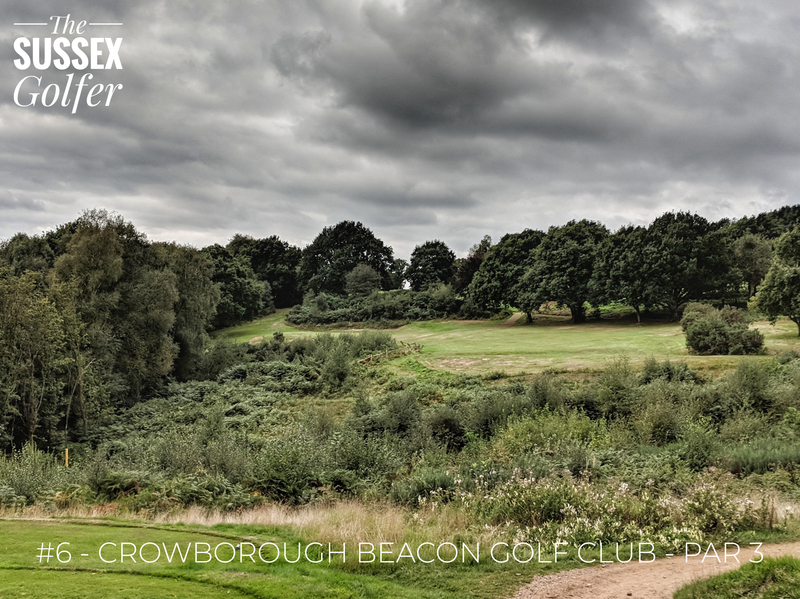 A long and demanding par 4 requiring two carries over water, firstly to the sloping and tree lined fairway, and secondly, the tough to judge downhill approach into the narrow green guarded by a pond short and right. Possibly the hardest one for me to pick out of the 18, but after much deliberation (other alternatives being Lewes, Slinfold, West Hove and Ashdown West) I plumped for the 15th on the West Course at East Sussex National. After the brute of the 14th hole at ESN, the 15th seems relatively easy in comparison, but leave yourself the wrong angle into the flag and you can leave yourself with a tricky up and down. Whilst not being the most visually attractive hole on the course (of which there are many), this long par 4 may well be the most challenging. Two decent shots and you have a chance of hitting the green in regulation, but it could well take you more than two to get down from here if you leave yourself on the wrong level of this massive two-tier green. Whilst not quite on a par with some of the other par 3 17th holes over water around the world (TPC Sawgrass! ), it felt like the perfect hole to lead us into the final stretch. 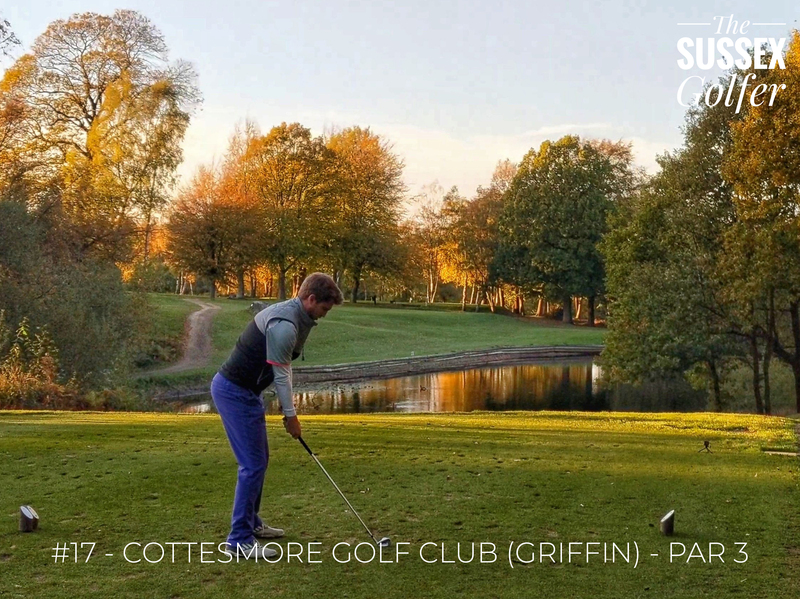 Whilst it faced stiff competition from the 17th at Sweetwoods Park GC and The Dyke GC, the 17th on the Griffin course at Cottesmore GC just edges it for me, due to the added difficulty of the green running diagonally to the hole. 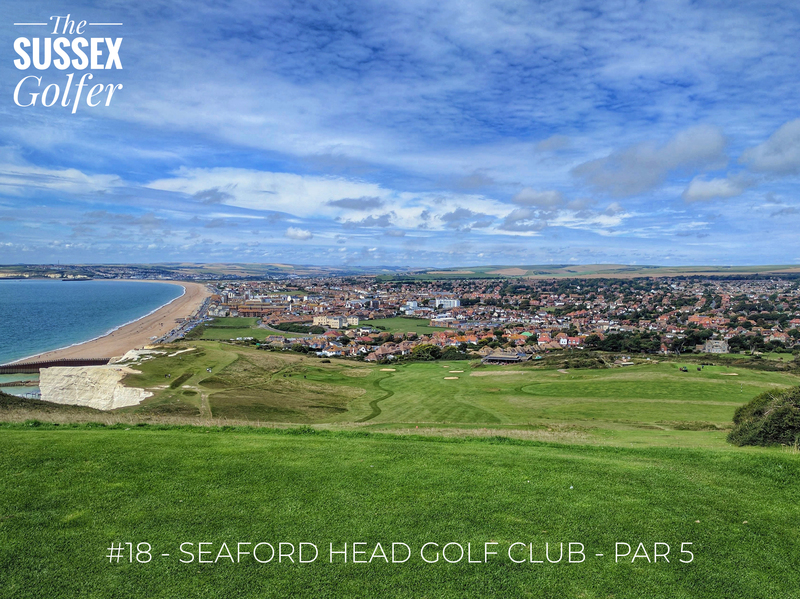 And what better way to finish it all off than the spectacular 18th at Seaford Head GC? With the ~60m elevation change between tee and green, there are few holes in the county that can provide the same thrill as you get when taking your tee shot on 18. This par 5 plays substantially shorter due to the elevation change, and therefore is a great chance to finish with a birdie.